Exit A12 at Rivenhall End (this is the A12 junction between 22 and 23). Turn right onto Braxted Road and at end of the road, turn left onto B1022 Maldon Road. Go straight over first mini roundabout and turn left at second mini roundabout onto B1023. Perrywood is approx. 1 mile on the left. Exit A12 at junction 26 (Eight Ash Green). Follow signs for Colchester Zoo until you reach B1022 and then turn right. 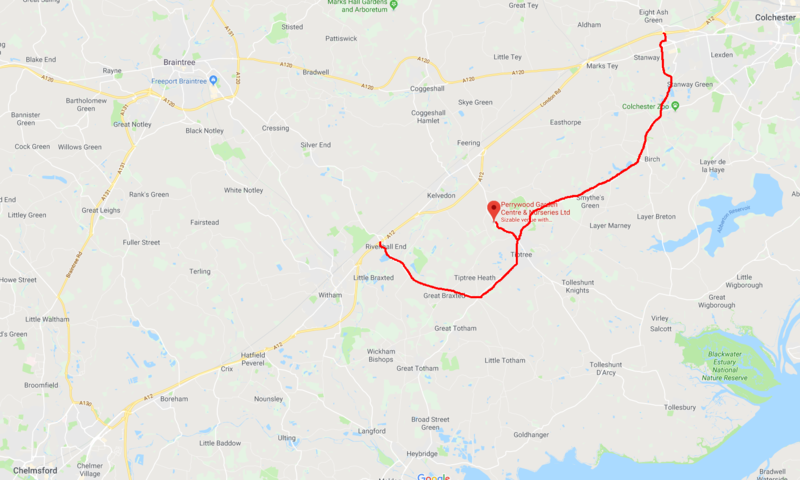 Follow road to Tiptree and turn right at B1023 to Kelvedon. Perrywood is approx. 1 mile on left.